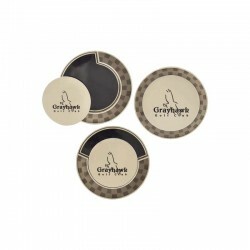 These personalized poker chip golf ball markers are the perfect promotional item for anyone who loves the game. 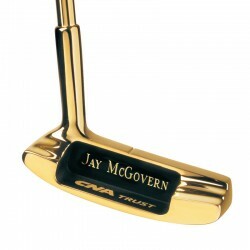 The perfect accessory for any golf bag, this bag tag includes two personalized, magnetic ball markers, and holds eight golf tees. 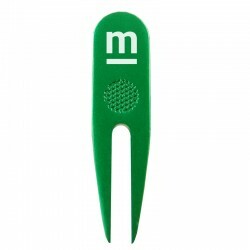 This colorful, personalized divot repair tool is the perfect accessory on the links. 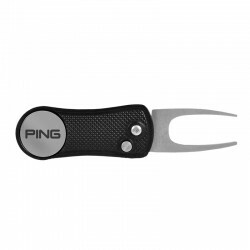 The FastFix Divot Repair Tool features a switchblade-function pitchfork for repairing divots, as well as a custom-branded ball marker. 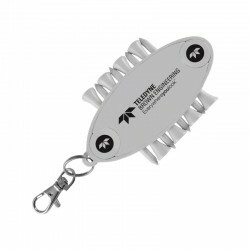 This repair tool is made of a sturdy, lightweight aluminum.